Cyber Monday, Black Friday, and the big holiday shopping season is right around the corner in most Western markets, and we will be seeing a number of users flocking to grab smart gadgets on the cheap. While there are plenty of deals to go through, wouldn’t you like to know whether than shiny new gadget is actually secure and not just a creepy spy-toy? 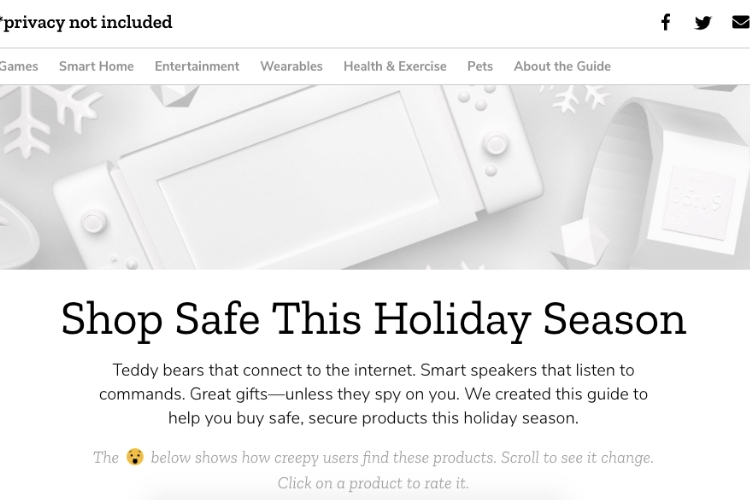 Well, Mozilla wants you to know just that while shopping this holiday season and has now released a new tool dubbed ‘*Privacy Not Included‘ to give you a chance to discover if some of the most popular gadgets are secure, trustworthy and whether they spy on you. 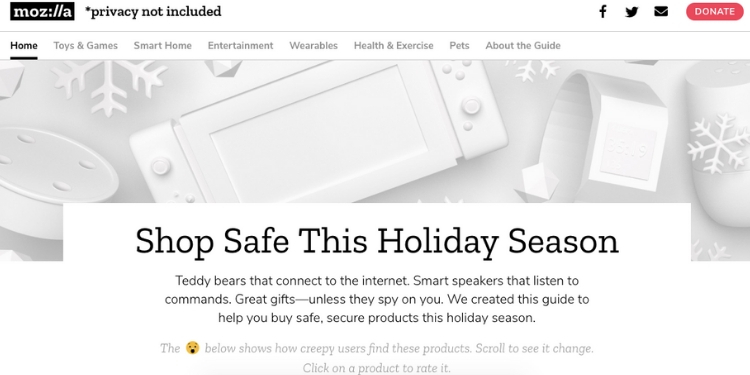 Privacy Not Included is a meaningful, yet humorous, take on your usual holiday shopping list and offers you a crowd-sourced ‘creep-o-meter rating’ for each device. 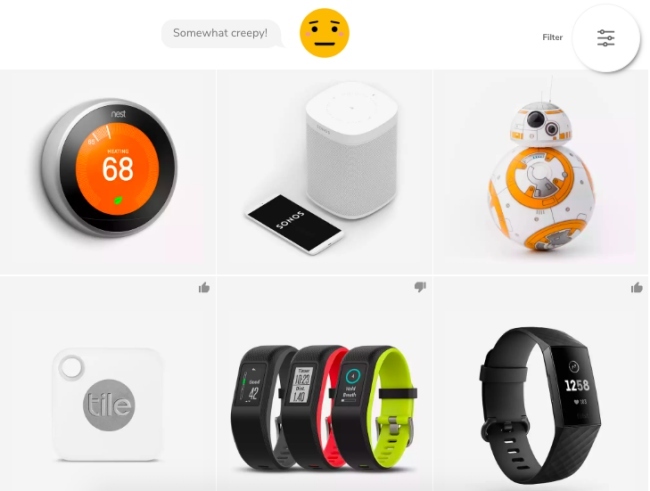 Yes, it ranks all of the 70 most popular devices selling online, ranging from the Nintendo Switch and fitness trackers to Google Home, Echo, and similar connected devices, based on their creepiness. You can even choose to filter connected devices based on their creepiness and it’s so fun to see what others think is creepy or not. You can also go ahead and provide your own rating on the “creep-o-meter” and vote on whether you’re likely to buy it or not. You’ll be able to see what others think of the same once you’ve voted. I think this is a fun tool to learn about other people’s opinions on the smart home, connected devices with always-on microphones, cameras, and a display in their living rooms.